The EU Yeast industry development is strongly linked to EU sugar beet history. 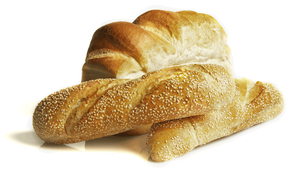 Yeast is a microorganism, which is cultivated (fermented) on a substrate rich in sugar (molasses, sugar syrups). EU Yeast producers buy around 0.8 million ton of sugar equivalent per year, more than 80% being of EU origin. - sugar indirectly used (fermentation, ethanol or exports). These two markets are currently monitored on a monthly basis by the EU Commission. 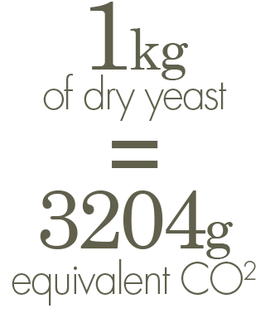 Yeast is a natural living micro-organism used in traditional fermented products (bread, wine, beer and cheese). Because the competiveness of the yeast industry greatly depends on its access to raw material (molasses, sugar), it is crucial to monitor the EU sugar market. The end of sugar quotas in October 2017 will completely reshape the EU sugar production (sugar beet production may decrease in some areas whilst increasing in others). 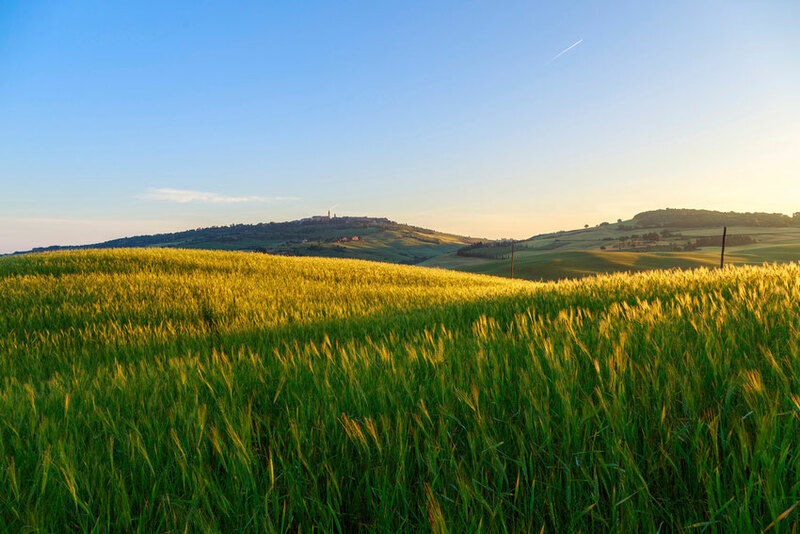 A transparent market with the reporting of prices will help to detect possible market turbulence in the sugar sector, which would impact sugar users and ultimately the whole food chain. COFALEC, the association representing the yeast industry in Europe, re-elected Marc CASIER for a second two year term of office at its 55th General Assembly in June as it also voted to welcome CROATIA as the 23rd COFALEC member. 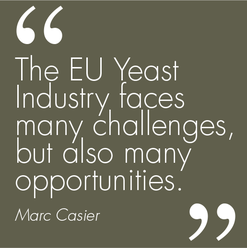 Marc Casier stated “The EU Yeast Industry faces many challenges ranging from availability of raw materials to meeting industry and consumer expectations for safe and nutritious food. The addition of CROATIA to the COFALEC organization shows our commitment to the promotion of the highest environmental, production and technological standards across the European Continent. The General Characteristics of Baker’s yeast have been up-dated to take into account the new provision concerning “nutrition labelling” of the Regulation 1169/2011 on “Food Information to Consumers”. Even if yeast is exempted from the requirement of the mandatory nutrition declaration (Annex v), indicative values for nutritional components have been summarised. The General Assembly of COFALEC (EU Yeast ProducerAssociation) elected its new President, Mr Marc CASIER, Managing Director of the Algist Bruggeman company, in Belgium. Marc CASIER declares “I wish to thank the previous President, Gerard BLIN, for his leadership over the past seven years. 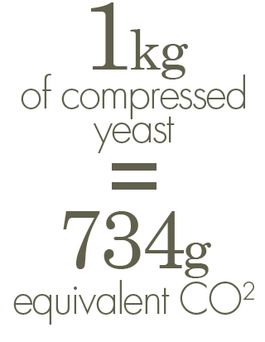 During his term, COFALEC professionalised its lobbying activities and instituted a number of projects as the yeast carbon footprint or the General Characteristics of Bakers’ Yeast. COFALEC is pleased to present the results of the study conducted by PwC (PricewaterhouseCooper). «With the determination of the Carbon Footprint of yeast, COFALEC adds a new contribution to its long term commitment to environmental issues that impact the future of our planet» says Gérard Blin, President of COFALEC. 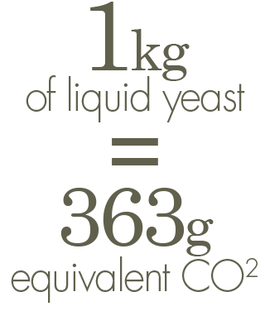 The Carbon Footprint of European Yeasts has been calculated using the life cycle assessment (LCA) method focusing on climate change impact. The contribution of the different steps of the production process is detailed in this study. On the 12th of October 2011, the Commissioner Dacian Ciolos presented his proposal to reform the Common Agricultural Policy (CAP). The Yeast industry is a major user of sugar products as a fermentation substrates, and will be strongly impacted by this reform. COFALEC welcomes this proposal that aims to ensure the long term competitiveness of the EU Food Industry.The position of COFALEC regarding the CAP reform was elaborated in June 2011, during the General Assembly. CIUS and COFALEC urge the Sugar Management Committee to reconsider the timing of its proposal to allow out of quota sugar exports and, not to make any decisions until EU sugar market supply returns to a sound and fair position. Users of Industrial Sugar currently experience a very tense situation on the EU market. Due to that critical situation, COFALEC asks the Commission not to allow any increase of Out of Quota Sugar Exports, and not to allow either the conversion of any Industrial Sugar into Quota Sugar in the course of the campaign. COFALEC members cannot accept that the rules of the game, within the Sugar CMO, keep changing continuously and that the limited resources of Out of Quota Sugar become the adjustment factor of an ill-functioning Sugar CMO. COFALEC members are open and transparent to their customers about the nature of their products. COFALEC members are currently not using any engineered nanomaterials. COFALEC welcomes the adoption of the Feed Catalogue. This catalogue will raise market transparency on feed materials currently in circulation on the EU market for users. COFALEC is an active member of the EU feed business sectors. COFALEC is a sponsor of the Register of the feed material, which is operating since the 1st of September 2010.